I am delighted to be celebrating the release of American Prophets by way of doing interview workshops in and around Cascadia for the next few months. A workshop happens at Open Books: A Poem Emporium, March 10, 2019, 10:00 am – noon. Preregistration is required. 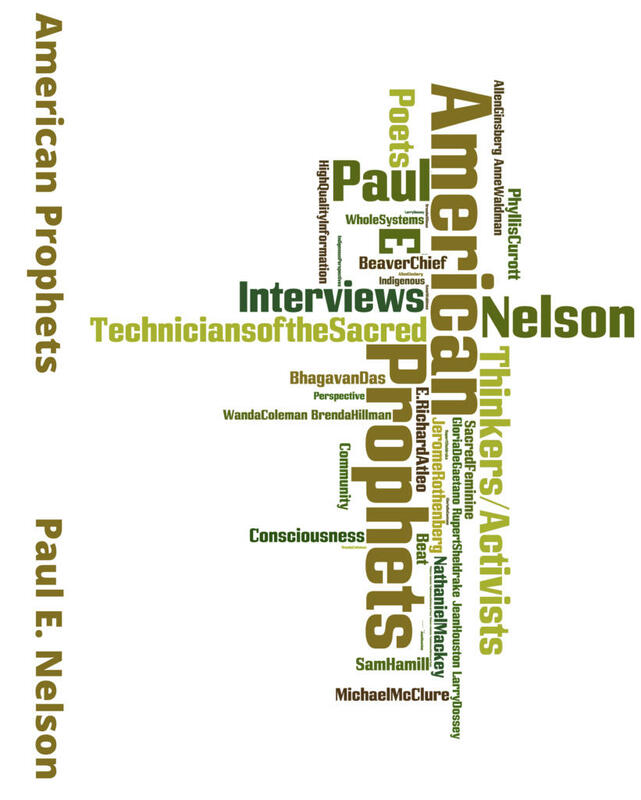 To celebrate the 25th anniversary of SPLAB (Seattle Poetics LAB) Paul E Nelson discusses American Prophets: Interviews 1994 to 2012, featuring poets Allen Ginsberg, Anne Waldman, Wanda Coleman, Jerome Rothenberg, Nate Mackey, Brenda Hillman and Sam Hamill, and will facilitate an interview exercise. Participants will learn techniques to connect with a guest, quickly develop a rapport and sharpen skills in this under-appreciated art form. Paul E Nelson has conducted over 600 interviews with poets, authors, indigenous leaders and whole systems activists through his non-profit organization SPLAB and will discuss how he prepares for interviews, the difficulties that are sometimes encountered, tech aspects and how to develop your interviewing technique. Copies of the book American Prophets will be available for purchase.